Is Your Business Looking For a New Air Conditioning Unit or System? Do you need help installing a reliable air conditioning system in your place of work? We’re not talking about one unit here but a series of units that have to be wired in such a way that you can control them all at once; using one panel as much as possible. You might be thinking why you should work with us at Phoenix AC & Heating Experts and not hire an independent contractor. The answer is simple. We have teams of certified professionals and have all the paperwork to prove it. We have been in the business for over a decade and have thrived in such a competitive industry, which shows you how dedicated we are to what we do. At Phoenix AC & Heating Experts, you also have the assurance that you’re dealing with a legal business and accredited partner of air conditioning unit manufacturers from York to Trane to Carrier to name a few. We are bonded, licensed, and ensured; we also provide quick and reliable services plus a 24/7 hotline to boot. We follow a 5-step process when we deal with installation projects for commercial air conditioning systems. All you have to do is call us for a quotation. Once you do, we’ll dispatch a contractor to your area for him to provide an assessment of the project. We will then give you an initial quotation that will be itemized so that you’ll know exactly where each dollar will go. Installation takes place the same day or the day after depending on the circumstances. After the project has been completed, you’ll then be able to leave us feedback (which we highly appreciate of course). We believe that work should be done the right way the first time around. This is why we don’t fool around and waste time when dealing with air conditioning installation projects. We know just how badly you need the system and need it to work. There are other service providers that specialize on a certain type of equipment. What makes us different is that here at Phoenix AC & Heating Experts, we take the time to educate ourselves when it comes to new equipment and maintenance protocols. 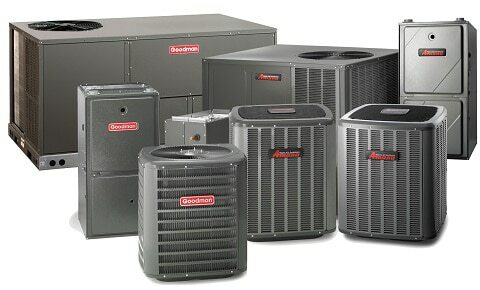 This means that we can handle a wide variety of air conditioning systems, old or new. Apart from not having to worry about installation issues if your commercial AC unit of choice is brand new, you also won’t have to worry about having to deal with old connections or wiring styles. We also update our installation protocols to ensure that our customers always have the best layout possible for their commercial systems. This will allow for easier maintenance checks and reduce the onset of system failures. We know how sizeable of an investment you’ll require for a reliable air conditioning system that suits the needs of your commercial space. This is why we don’t want to add unnecessary expenses on top of that. At Phoenix AC & Heating Experts, all pricing is done upfront so you won’t be surprised with ballooning expenses and what not. We also make sure that our rates are justifiable and affordable. We believe in providing the best services first and foremost. And we believe in fostering relationships with loyal clients and this is why we keep our prices reasonable. However, there are times when project costs go under or beyond initial quotations. In this case, we see to it that you’re informed of the changes every step of the way. Should we need to spend more during a particular phase in the project, our certified experts will explain the situation so that you’ll have a better understanding of why something is needed for your air conditioning system. Afterwards, we’ll ask you to sign off on it before proceeding.